Debbie Loves Life and Lives to see the world in Color. 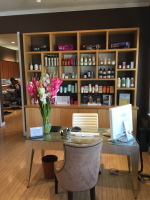 Debbie Loves keeping Hair Healthy, Bouncy, and that has Shine and Movement. Making a Statement with Color creates your Hair to Pop Out.. Unlimite Frizz with Kertin Treatments. Add Volume with Texture Perms or Hair Extensions.